The theme for the Honolulu Festival will be divided into 3 categories for the next 20 years. They are “Cultural Exchange”, “Education” and “Environment”. The symposium was held on March 7, 2015, from 13:00 to 16:00 up on the 3rd floor of the Hawaii Convention Center. 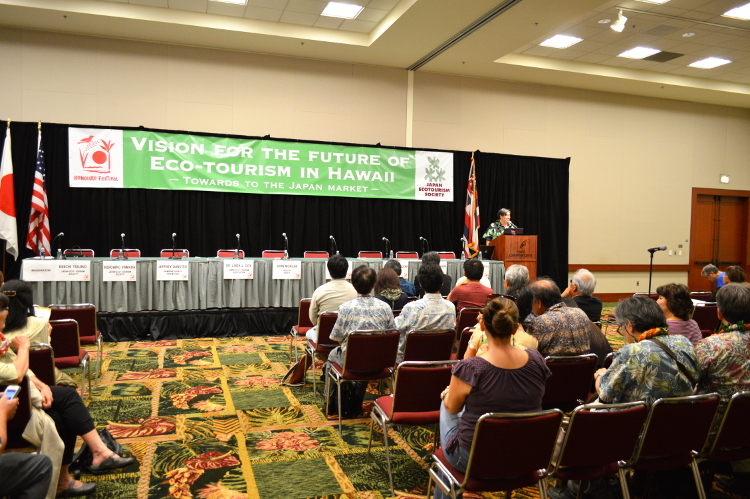 The theme was related to the environmental aspect which was entitled as a “Vision for the Future Ecotourism of Hawaii”. 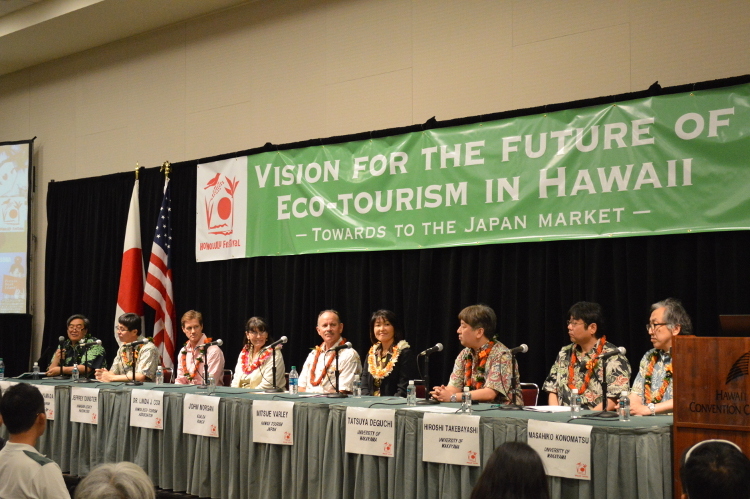 It discussed about the potentials of ecotourism and how it can firmly be entrenched in Hawaii. The symposium consisted of two sessions. 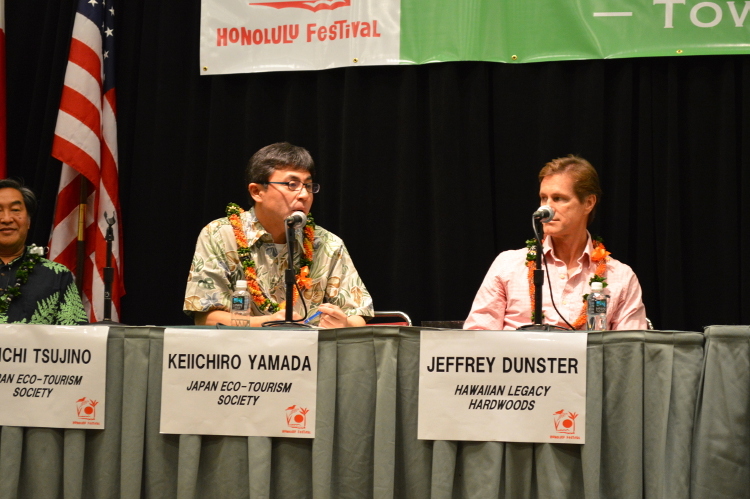 Mr. Keiichiro Yamada, a Board member of Japan Ecotourism society; Mr. Jeffrey Dunster, CEO of Hawaiian Legacy Hardwoods and also the 2014 Ecotour Operator of the year discussed about the concept of ecotourism in Session I. The panel discussion was held during Session II. Those who were interested in the topic of ecotourism and various representatives of the companies in Hawaii filled the venue. Session I: What is Ecotourism? Ecotourism is a form of tourism (travel and recreation) that considers sustaining the natural environment, culture and history of the region and it has a relatively short history. Mr. Dunster gave a speech on how preserving trees and forests lead to ecotourism. He mentioned a few interesting facts based by the global industrial production index from the years 1978 to 2012. The forests that are size of Big Island are disappearing every 25 days. Demand for tropical hardwood is doubling every 4 years. Current planting rate is below 2% of the demand. Hawaiian Koa is an indigenous tree that only grows in Hawaii. The price of Koa has increased by 1,000 times within the last decade. Only 10% of the Koa tree forest is remained. In addition, according to a United Nations report, all of non-preserved tropical forest will be gone by 2023. 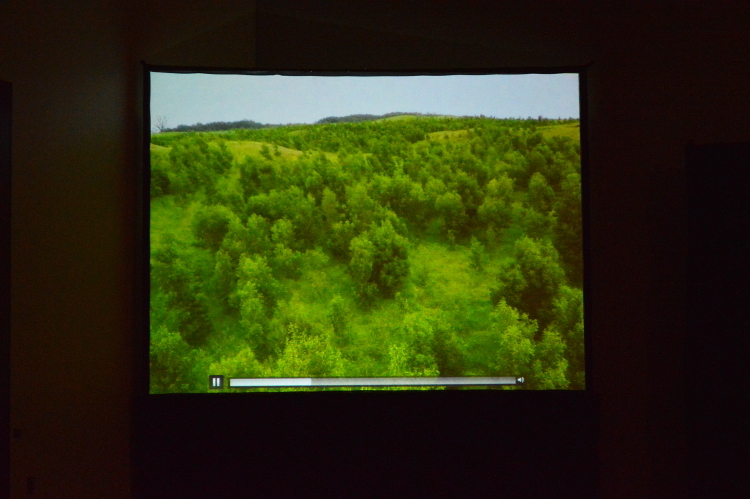 Mr. Dunster proposed an idea of “Birth of Forests” to promote ecotourism. A man in the picture is holding handful of seeds which also symbolizing that he is holding a forest. The company called Hawaiian Legacy Hardwoods (HLH LLC) has initiated a reforestation project on the lands that were once owned by the King Kamehameha I. The method is simply by only using rainwater which has an ecological factor. Koa Legacy Trees are the fastest growing hardwoods which only take about 4 years to develop a forest. Mr. Dunster encourages every tourist to be involved in ecotourism by taking part in protecting forests rather than only enjoying the sceneries. 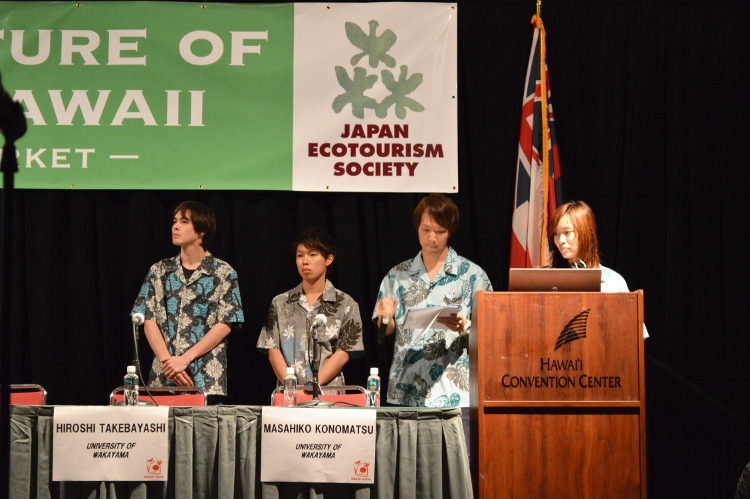 Subsequently, the students from the University of Wakayama gave a presentation about their unique views on ecotourism. 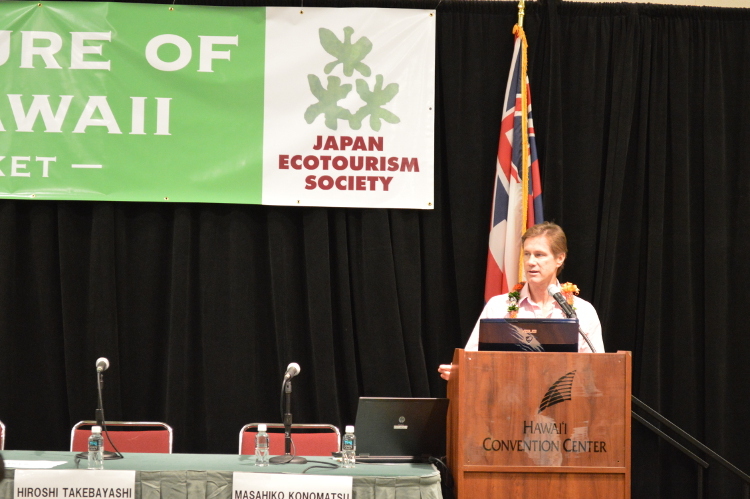 They emphasized that the harmonization of nature, culture and history is the important factor for Hawaii’s ecotourism. All staff members gave a warm round of applause for the students of the future. The panel discussion in Session II consisted of: Dr. Linda J. Cox of the Community Economic Development Specialist at the University of Hawaii and the adviser of the Hawaii Ecotourism Association John Morgan, President of the Kualoa Ranch. Mitsue Varley, Vice President of the Hawaii Tourism Japan. Hiroshi Takebayashi, Tatsuya Deguchi and Masahiko Konomatsu, the professors of Wakayama University. Mr. Takebayashi, a professor at Wakayama University discussed the importance of ecotourism from his own strategic perspective. Afterwards, each panelist discussed about their own professional ideas on ecotourism. 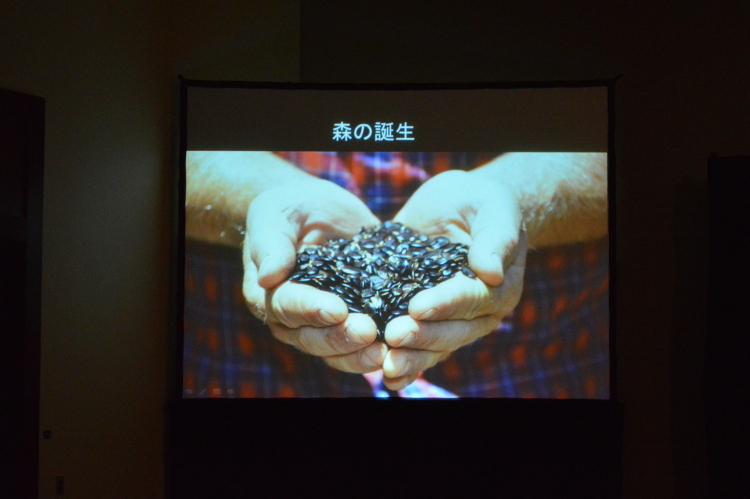 Lastly, Mr. Yamada encouraged everybody to share about today’s experience regarding ecotourism. Also, he created an acronym using the word “WAVE” which it symbolizes Hawaii. Furthermore, this won’t be the last symposium that deals with the topic of ecotourism. We will conserve the world’s environment and grow the number of supporters of the ecotourism movement as well as the visitors from Japan through holding many symposiums in the future at the Honolulu Festival.